At Camp Eagle Ridge, we’d like to think we’ve been ahead of the curve on this one. We’ve had a long history of preparing our meals mainly “from scratch”. We only serve water, milk, ice tea, and 100% real fruit juice. Our salad bar is available at every lunch and dinner and everything on it is fresh and full of color. We don’t serve soda, nor do we have vending machines. 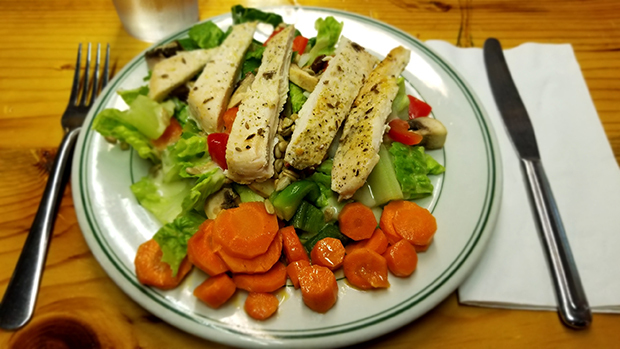 All in all, every meal is packed with healthy, delicious choices. We have three main goals at Camp Eagle Ridge: develop leadership skills, develop a sense of community responsibility and develop healthy living skills. By offering healthy choices at every meal, we’re teaching our kids to enjoy a rich variety of foods. 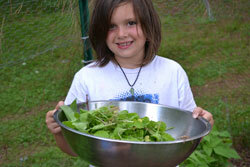 Our kids are learning that food is better when its not processed, fried and “golden brown”. Food is wonderful when you see a rich variety of colors…yellows, oranges, reds, etc. Now we’re taking our goal of teaching healthy living skills two steps further! We have a camp garden! Our kids will be learning to plant, weed, fertilize and harvest. They will have a great understanding our where our food comes from. At Camp Eagle Ridge, our kids have the opportunity to learn to cook! At every choice activity period, cooking is offered. 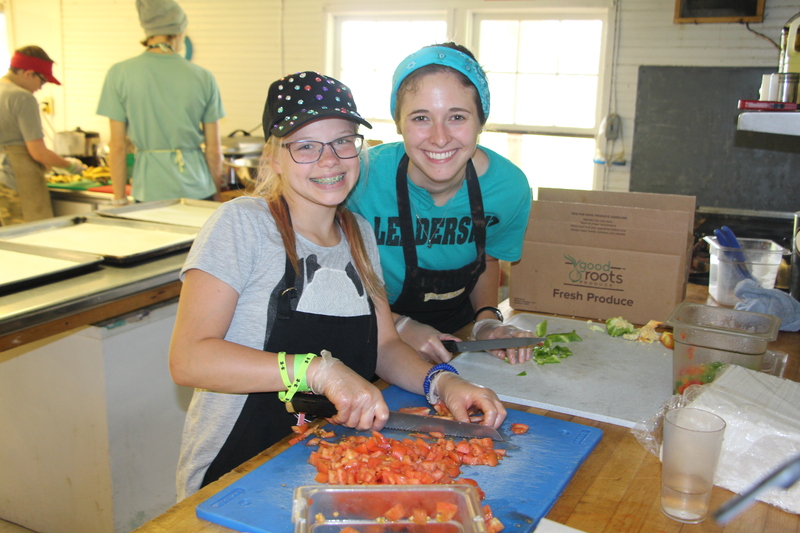 Our campers will be able to work in the kitchen with our staff and learn to prepare healthy, nutritious meals. They will also learn about sanitation, food safety and composting. We’re very excited about these additions to our already excellent food service program. We believe that it is very much in line with our camp’s philosophy and goals. Click each tab to learn more. We also offer vegetarian options at every meal.